It’s long been assumed that Piper would appear in the show — partly because of the “prominent gay character” rumors and partially because he’s a key member of the Rogues, who are set to appear this year. 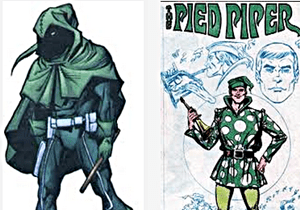 It’s also worth noting that the current version of Pied Piper in the New 52 isn’t deaf; that’s from a previous interpretation of the character. Is He A Top Or A Bottom?